Just as you wouldn't wear a pair of running shoes with a suit and tie, you wouldn't wear your sweaty rubber fitness tracker to a job interview. What you wear on your wrist not only says that you're punctual, but also that you're stylish. Style trends come and go, not only with clothing, but also with watches. And while it is great to have some timeless timepieces in your collection, you need something that matches the occasion, and a bit of variety never hurts. 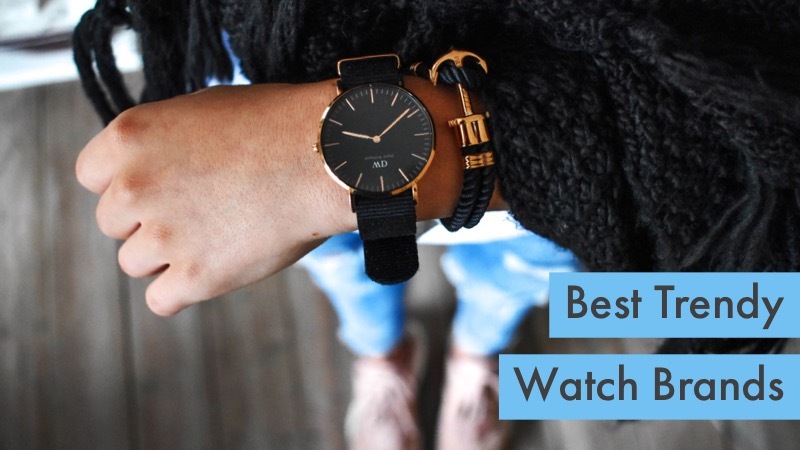 Here are just some of the best trendy watches people are wearing right now! The idea of going to your local mall to shop for a watch is an outdated one. Although it may suit some people, it can be stressful if you're put under pressure to settle on a purchase. Plus, you may not get a warranty. Being able to do your research online is a huge benefit to buyers, whether watch aficionados or just casual shoppers looking to add some variety to their collection. If you're considering putting something new on your wrist, the above recommendations should help you find some of the best trendy watches available online.